A crazed assassin attacks the U.S. Presidential entourage at a NASCAR race and changes Wes Holloway’s life forever. Wes, the President’s aide, survives with disfiguring facial while the President’s best friend, Ron Boyle, is shot and killed. But after eight years, Wes spots Boyle, very much alive. The CIA and the FBI are after him for information and the assassin is on the loose once more. Now Wes must figure out the mystery of Boyle buried in old crossword puzzles, Freemason history and Jefferson’s two-hundred-year-old codes, before the Book of Fate catches up to him. Most of the time I can rely on these little snippets. But this is one time these people have completely missed the mark. How they can describe this book in glowing terms make me suspect these may be paid opinions. As a thriller, it isn’t so thrilling. Meltzer has given us a bland plot sprinkled with mysterious symbols, both of which seem to make the book trail sadly after Dan Brown’s wake. 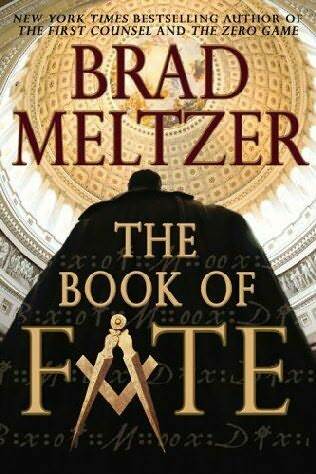 With puzzles, symbols and the references to the Freemasons (for perhaps more mystery), it looks like Meltzer is simply trying to cash in on the tidal wave from Dan Brown’s popular theme of weaving symbolism into his thrillers. Alright, he says he meticulously researched everything. I am not disputing that. It’s just why try to style yourself, no matter how much less, after another author? One other thing, it feels as if Meltzer is trying too hard. Why the FreeMasons are so crucial to the plot, I haven’t a clue. Even the schizoid character, Nico, seems simply thrown in to up the ante albeit being an unnecessary angle. Moreover , the whole story simply does not focus on its title, The Book of Fate, which from beginning to end appears to be some sort of vague Bible. There is not much reference to it nor does the plot give it any importance. I believe the novel was probably titled so because it just sounds great and intriguing. After all, it must sell, sell, sell! 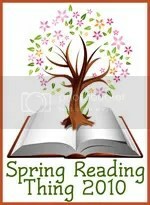 Reading this book is like grabbing something so one has something to do. After all I’ve said though, it isn’t very bad when you get down to reading it but it isn’t great either. Rather mediocre. A read, toss, and forget-about-it novel of which its mediocrity is its merit of getting you adequately by when you’re just killing time. In the end, you come out not clear about what the novel’s Book of Fate really is. Oh and the whole conspiracy theory is really not much of an attention grabber, either. Again, bland and boring. The Book of Fate is definitely an airport read, if you don’t mind the watered down Dan Brown wanna-be. It’s engaging in the first dozen or so pages then the gripping interest peters out and the action stays on an even keel throughout the middle. Not an engrossing piece; but guaranteed you won’t miss your plane with this one. A respite from the fantasy-like quality of reading imposed by my two challenges. So on to science fiction in the realm of epidemiology for a little more reality hashed into the fiction. Something has killed four prominent scientists at the Trudeau station, a marvel of a habitat built for the harsh environs of the Arctic. Top scientists around the world who had come to the station to study this inhospitable frontier, are at a loss to explain the gruesome deaths of their colleagues. The unknown “bug” leaves its victims with their pupils missing and their bodies horribly contorted from excruciating spasms. As an answer to the station’s plea for help, top epidemiologist Dr. Jessica Hanley braves the perils of the Arctic in winter to discover the nature and cure for the new disease. No mean feat this, but on top of it, Dr. Hanley discovers a plan to sabotage her mission. She must protect her work to find the “bug” and its cure as quickly as possible. The Trudeau Vector is a biothriller with loads of fascinating trivia. It’s the trivia that thrills primarily over the formulaic plot. It seems the author didn’t think much of the story line and simply followed what worked in the past with others. He also does that “evil Russian” subplot to add to the thrill of the chase. Corny but then again your concentration isn’t riveted on this angle. It’s all on what malignant vector this author had cooked up. What I think Jurjevics wanted to do was pack the book chock-full of info about the Arctic and epidemiology. It really isn’t tedious if you were interested in the premise of diseases and environments in the first place. Some of you may want to know about the characters. Well, character building is mediocre at best but not bad; however, Jurjevics does not make it clear what his characters are thinking. For instance, the reader will be surprised why Dr. Hanley would suddenly feel like going to bed with one of the Trudeau scientists without a hint nor clue as to why she would. Perhaps, depth is not much of an issue where thrillers are concerned, as action pacing is of prime importance. 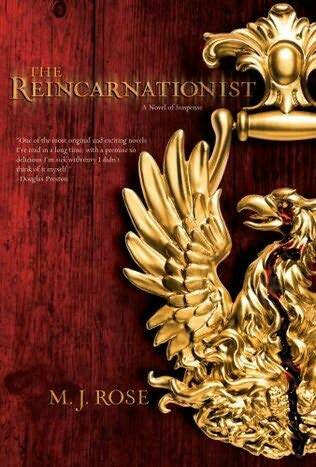 In this, Jurjevics succeeds as the action unfolds in very good strides so that you do get engrossed in the novel. 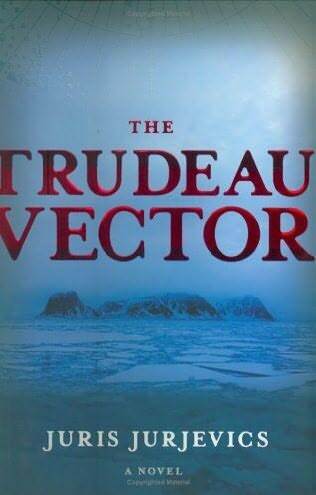 For a debut novel, The Trudeau Vector is quite good and comes across as very well researched. On the premise that it is so, then I have learned new things. And I do love my fiction interspersed with hard facts. However, I must say that the conclusion, about 5 pages toward the end, left me a bit unsatisfied as its resolution was somewhat anti-climactic. I guess I preferred a great bang of an ending to this one. But then, the conclusion was plausible. So not much complaint from me. It’s been more than two weeks since my last post. I’ve been rather behind on my reading schedule with other distractions occupying most of my time. 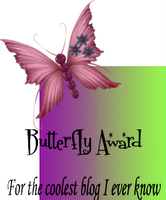 What galvanized me to finally finish a post was a site I stumbled upon. 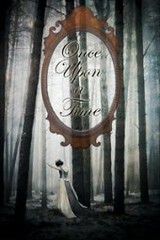 To my surprise and delight, a new site, Philippine Blog Reviews, posted a wonderful review on JO’s Bookshelf! A big thank you to the site’s author/s. So, I’m guiltily posting this review and hoping to stay on track this month. A wife of a British diplomat in Kenya is found naked, raped and brutally murdered; her driver, decapitated. Their companion, an African doctor, has gone missing. Investigations by the British High Office, however, fail to satisfy the bereaved husband, Justin Quayle, so he undertakes his own by secreting away Tessa Quayle’s laptop and documents. Justin discovers that his philanthropic wife, a Good Samaritan to the Africans she loved, had compiled a huge body of evidence against crime of such vile proportions involving developmental medicines, clinical trials, both British and African governments, and large pharmaceutical companies. Justin follows her trail only to find himself in the same danger, hunted by Tessa’s killers and by his own government, both determined to keep their secrets. I do like novels that take up a moral stance on real issues. The Constant Gardener has the temerity to be a bullhorn, waking us to the existence of genuine medical crimes happening in Third World countries, mostly impoverished , vulnerable nations like Africa. 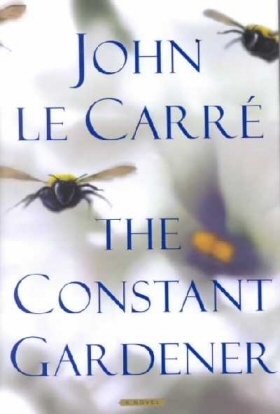 Le Carre seems to be sounding a furious call to all about awareness of apalling drug trials by large, pharmaceutical companies, bribed scientific opinions, cover ups on side effects, and the whole sick trade of getting a new, profitable drug to the First World markets. It seems Le Carre loves layers and likes to employ this on his characters and plot, wrapping them up in a tight onion of surface details, then peeling their layers to reveal more as he goes along. The novel opens with a shocking tragedy which somehow does not focus immediately on the lead character. The author sets our attention on a supporting one and he slowly unveils his lead after shifting focus on him well after about a humdred and thirty pages or so. What this technique does is leave us wondering at the start about the husband’s rather bland reception of his wife’s murder. As attention increasingly shifts toward the main character, the author slowly peels back layer after layer of his personality so that by the end of the book, Justin is fully fleshed out in a very refined and gradual manner. And thus you witness a master of characterization at work. Take his secondary characters as well. From a seemingly set cast, Le Carre takes us gradually behind their personas to reveal a complex set of people that give the novel an added richness and prove the author’s craft at character building. His writing is elegant and vivid but one cannot say that he writes simply. 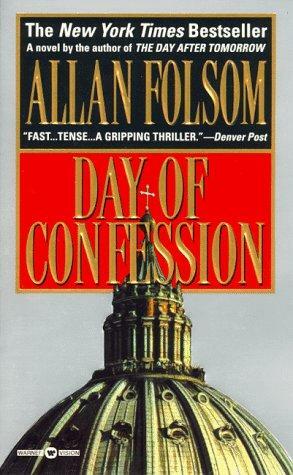 Nor is this novel a fast, easy read as most thrillers go. So as much as the story is well conceived, his writing may be a tad labyrinthine. Just a tad, but still enough to make it difficult for some readers to get into the story. It may be a chore keeping up with who’s who as some characters mentioned early on are referred to again much later that the reader would have quite forgotten him. I also rather wish that Le Carre immersed his readers more in African life. He skims over details giving us only tiny glimpses. It would have made the book far more interesting if he delved on the subject a little more, not to mention the greater impact it would have had if it were able to sear his message into his reader’s minds and get them to really sympathize with the African plight. The reading pace could be best described as erratic, at times picking up a swift tempo then slowing down to a somnambulant gait only to pick up the brisk tread again after a while. In other words, this is not really a page-turner that would keep one up late into the night; but, it is still a great novel that delivers a powerful urgent message and takes a very strong moral stance. If you don’t already know, this book was adapted to cinema in 2005. Ralph Fiennes and Rachel Weisz play Justin and Tessa Quayle, respectively. I haven’t seen the movie but after this book, I’d like to see how it played out on the big screen. In spite of the tendency of the author’s writing style to be a bit complex, The Constant Gardener is a well-written book that rewards constant readers, those who invest a little more concentration in reading this, with well developed characters, insight into global malpractices of the medical world (if one isn’t very aware of this yet), and of course, a darn good story.